Our South Central Center on Aging offers a variety of free educational programs geared toward healthy aging. 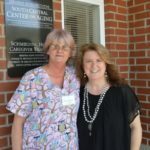 The UAMS Schmieding Caregiver Training Program and the South Central Center on Aging offer a variety of programs to the community. 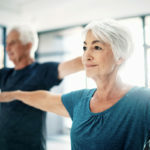 In addition to Certified Nursing Assistant training, we offer free workshops for family caregivers providing unpaid care to older adults in the home and a variety of other free educational programs for seniors designed to promote healthy living. Be sure to check out our program calendar in your area.